An Information Technology MBA gives you the ability to extend a strategic knowledge base of IT information into a business management setting. The courses that you’ll take throughout this degree combine business and technical strategies to help integrate the world of information technology with corporate America. The design of this MBA is organized to develop or expand your skills in leadership as you evolve into a more technical space, and is particularly useful for those in middle management positions looking to advance into higher ranks in the industry. In order to be accepted into this program, applicants must have successfully completed an undergraduate degree from an accredited institution within the United States with a passing GPA of 2.5-3.0. Some educational facilities may require higher standings, while others will accept you into the program with lower grades. You may also find that work experience is expected, from one to three years, before you’ll be considered for enrollment. The MBA in Information Technology takes 12-28 months to complete on a full-time schedule, but some institutions will allow part-time completion over a 2-3 year span. Many students seeking a part-time schedule in this degree will process their program over the internet through a rigorous online set of courses. The online version can be less interactive, but through technological advancements in video and communication technology you’ll gain the same learning experience. Although this is a competitive space, finding positions in this field is becoming easier as more and more companies require managerial roles throughout their technology departments. However, because Information Technology MBA’s are based around technology, you can also expect to take classes like Technical Project Management, Management of Information Technology, Database Design, Applied Data Mining, Enterprise Integration, and Strategic management, among a large assortment of other electives and course listings. You may also be required to complete a work term outside of the classroom or work on a group or individual assignment at the end of the program, or each term throughout the degree. Sometimes the course load will also vary based on whether you’ve committed to a full-time classroom learning experience or an online venture. This is mostly because some classroom materials don’t transfer well, and so alternative subject matter is utilized in the online experience. Once you’ve graduated with an MBA degree in Information Technology, there are a wide assortment of career opportunities in your industry depending on the field that you choose to work in. Due to the high necessity of technology in the business world, the doors that open to this level of education are also immense, spanning everything from government positions to private sectors, healthcare industry management positions, and even roles in the educational community. Every form of business requires upkeep in their technical department, which is where your degree will help. Information security analysts are charged with planning and carrying out information security measures to protect the systems and networks of all types of organizations. As more cyber attacks occur that are more and more sophisticated, the responsibilities of these professionals will only grow. Above all else, information security analysts need to stay well ahead of cyber attackers. It is for this reason that managers in this role typically have years of experience and hold either a master of science in information technology or an MBA in information technology. Computer network architects are responsible for designing and building data communication networks, which can include local area networks and wide area networks. These types of networks can range from a small network connecting two offices, to a complex cloud infrastructure that serves offices around the world. Network architects must have a great deal of knowledge of the business plan of a company so that they can devise a network that helps it to attain its goals. An MBA in information technology can be a critical asset in this work. Computer network architects will frequently work with the chief technology officer of the company to decide where the organization needs to have new networks. The pay scale for MBA graduates in the IT department varies from student to student based on job placement and skill level, but the average numbers for certain jobs remain the same. Information Technology Manager Positions pay about $71,600, while Senior Software Engineers in both development and programming look at making about $20,000 more at $91,800. Some job titles like the based IT specialist positions pay a lower rate, on average about $52,000 but most positions run about $60,000 to $70,000. Of course, as you work your way up and find yourself in more executive roles throughout a company, you run the advantage of profiting more from your pay rate, and may find an increase of up to 35% in almost any role. Whether you work for yourself or commit to a managerial position in the information technology department of a large company, the Information Technology MBA can equip you with all of the skills and knowledge necessary to make your mark in your chosen field. The hands on experience that you gain through projects and group activities also put you in the right mindset for work in a team setting. 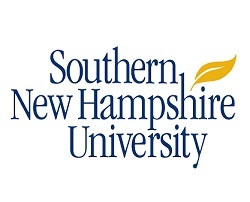 Earning an MBA in information technology management at Southern New Hampshire University, can help experienced business professionals to get further ahead in a technological business environment that is always changing. This MBA in IT management will provide you with a solid foundation in business management as well as information technology. This is a very valuable combination in today’s 21st century business world. This MBA is one of the most cost effective in the world, and may be completed in some cases in just one year. 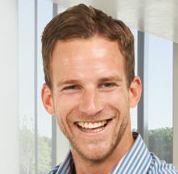 This advanced MBA program will give you a major competitive advantage over your peers. You will have the most up to date knowledge of information technology, as well as expert analytical and financial abilities. With solid business management and technology skills, you will be well prepared for a career in IT management, e-commerce, e-business and telecommunications. SNHU was recently included in our rankings of the most affordable online MBA programs for 2017. The online MBA with a specialization in IT management at Western Governor’s University will greatly enhance your information technology skills. You will be prepared with the advanced skills and knowledge to qualify for upper level management IT positions that can pay well in excess of $100,000 per year. This program has been designed for experienced information technology professionals who want to move into higher level management positions. It also is made for those who have several years of real world IT experience, but want to pair that experience with an advanced degree.